Talking in front of a room full of CEOs, colleagues, and investors can be nerve wracking. Ken Schmidt, author of MAKE SOME NOISE, explains how even the most fearless leader needs to practice before going into a big meeting, speech, or proposal. These tips will help you dominate your next business presentation. Make it easy for your people to visualize what you’re saying by telling stories that use common examples from everyday life or aspirations. Encourage audience members to share personal experiences or memories that expand the stories you’ve told. Use visuals to boost memorability of key messages. As you’re eyeballing my suggestions to help you frame your discussion, including key messages and some storytelling cues to get you running and up to speed, please know that “suggestions” should be taken literally. You should massage and personalize these any way you’d like, so that they sound like you talking, not some ridiculously cool guy from a book you just read. Whatever you do, don’t read this stuff I’m giving you word for word. Instead, make some cheat sheets or note cards with the key points you’ll use to support your presentation. Along with key messages, I’m providing you with suggestions for your supporting visuals, too. Know this: Nobody hates seeing “word slides” in presentations more than me, but sometimes—and this is one of them—you have to use a few. The important thing is to put only your key words on your slides so your people can follow along and see what’s most important. You never want to put so much on a slide that people are reading when they should be listening. That’s torture for everyone and the sign of a presenter not comfortable with his or her content. Think R&R: What do I want these folks to remember and repeat? Because you’ll be sharing the entirety of your N3PS, I’ve also included recommendations for breaking it into smaller, easier-to-digest pieces. 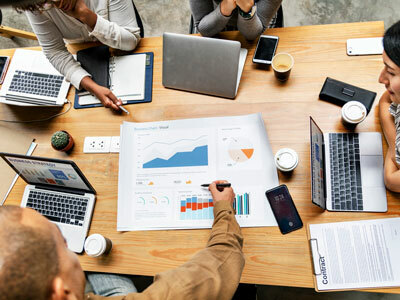 As you’re getting input and ideas from your group during your presentation, be sure to record what’s being said—you can write on an easel or ask someone to be designated note taker. You now know how important it is to make sure whoever’s speaking can see that someone’s writing down whatever they’re saying. 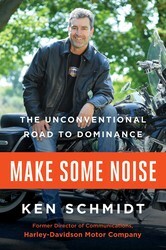 Learn more about how to succeed in your business with MAKE SOME NOISE by Ken Schmidt! Excerpted from Make Some Noise by Ken Schmidt. Copyright © 2018 by the author. Used by permission of the publisher. All rights reserved. The former director of communications at Harley-Davidson and one of the most sought-after speakers in the world reveals his exhilarating, innovative approach to creating customer loyalty and marketplace dominance.Ken Schmidt is a wanted man. His role in transforming Harley-Davidson Motor Company—one of the most celebrated corporate success stories in history—led business leaders all over the world to seek his guidance. After all, how many companies can get their customers to tattoo their logo on their arms? After having worked with more than one thousand companies worldwide, Schmidt is ready to share the secrets that spurred Harley-Davidson’s remarkable turnaround. An avid motorcycle enthusiast, Schmidt harnessed his passion for riding to create his famed Noise Cubed Trilogy—the three questions he asks every one of his clients. They assess a company’s positioning, competitiveness, and reputation, and are the key ingredients for any successful corporation: What do the customers your business served yesterday say about your business when they’re talking about you to prospective customers? What do you want them to say? What are you doing to get them to say it? In Make Some Noise, Schmidt shares his full-throttle approach for businesses and individuals alike. Anyone looking to become more competitive and grow customer loyalty can learn from the case studies and experiences he shares. From a nondescript heavy construction company, to the most high-end “luxury” gas station in America, to Apple, and to his own personal landscaper, Schmidt illustrates how the answers to his trio of questions will yield a course of action to stand out in today’s marketplace.